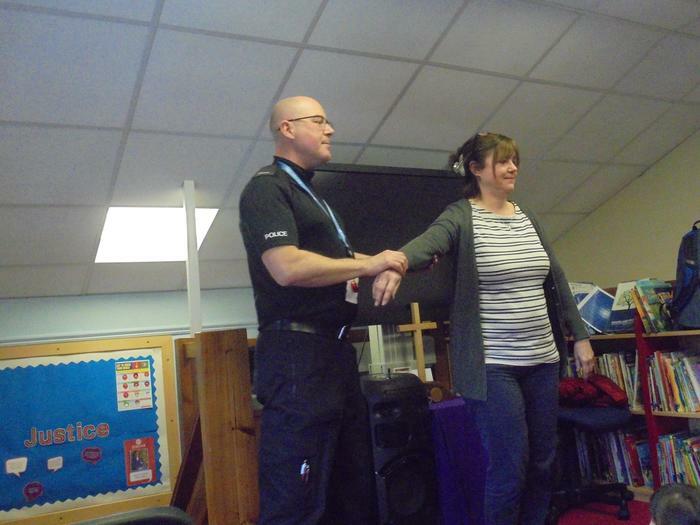 Three Police officers visited school and delivered age appropriate safety talks to all the children throughout school. 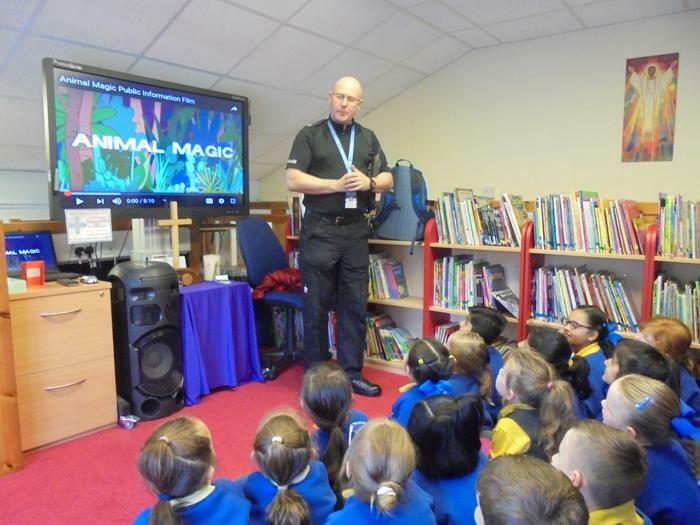 The main focus of this was ‘online safety’ – linking to our recent Internet Safety Day. 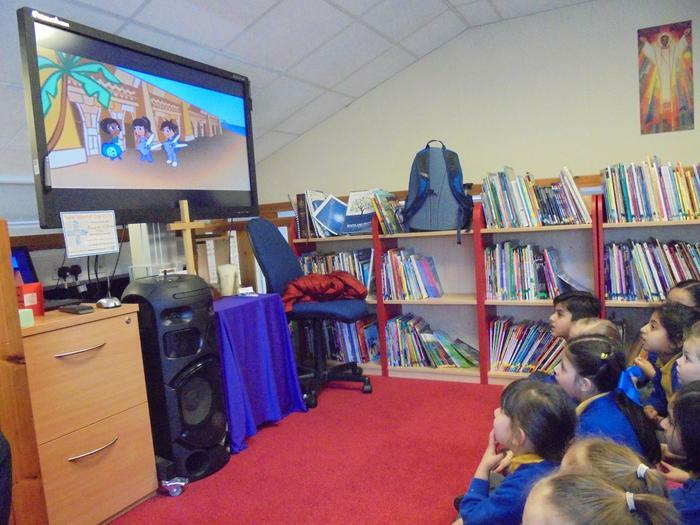 The children explored different strategies for keeping themselves safe online, but we can all help by being vigilant and monitoring what our children are being exposed to online. 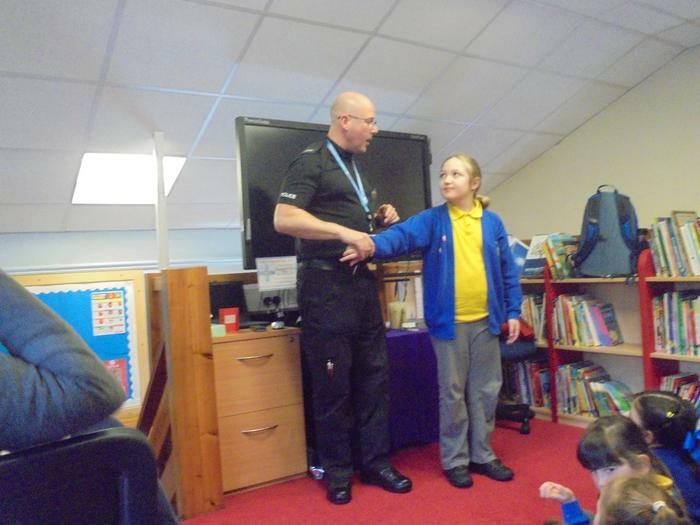 The Police officers also discussed cyberbullying and the importance of not watching inappropriate films/programmes or playing computer games – the children explored age certificates. 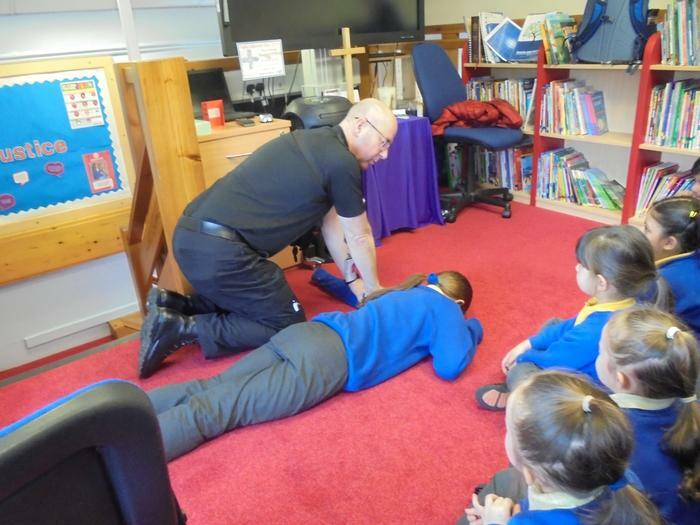 The safety talks concluded with the children discussing what they should do if they see anything inappropriate online, on a phone or T.V. 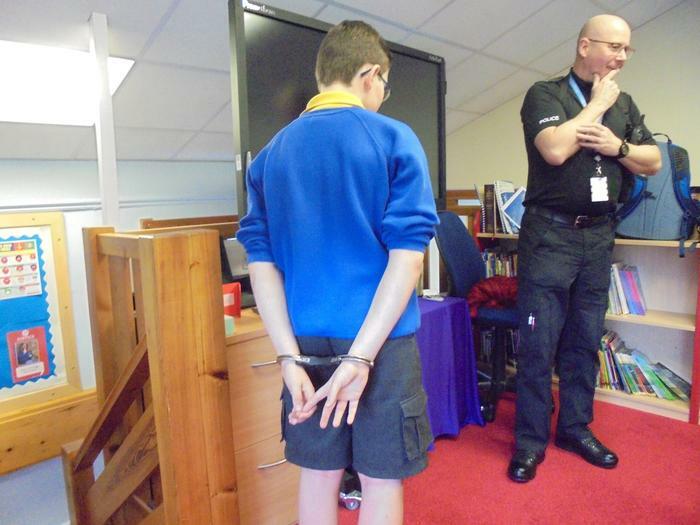 screen – report it immediately to an adult.